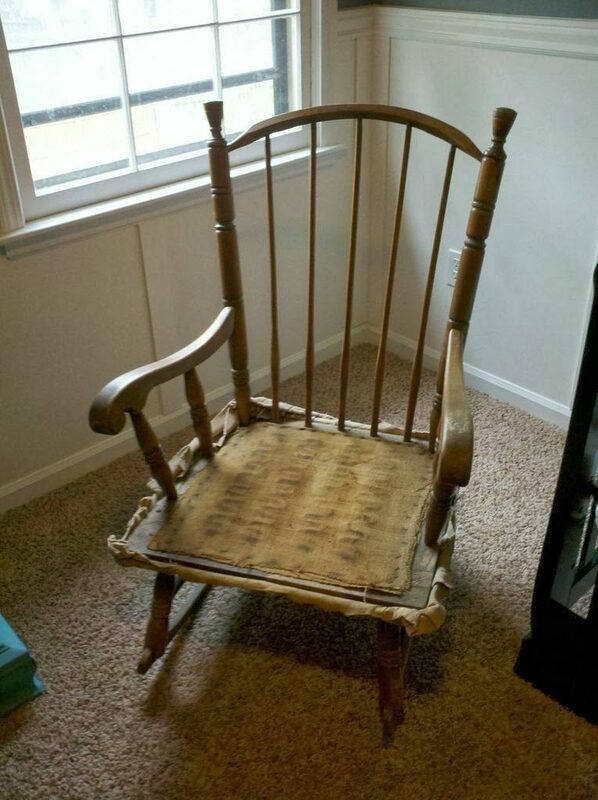 I have had this rocking chair in my possession for years now and it’s been in my family for at least a hundred years. I can still remember my Grandma rocking in it when I would come to visit. She used to tell me that it was her Mother’s before her. I honestly do not know how far it goes back. But it has seen better days. Too many years in storage had taken its toll. With the new nursery nearing completion and the birth of our son right around the corner, we knew we wanted another rocker in his room. But lack of space was an issue. 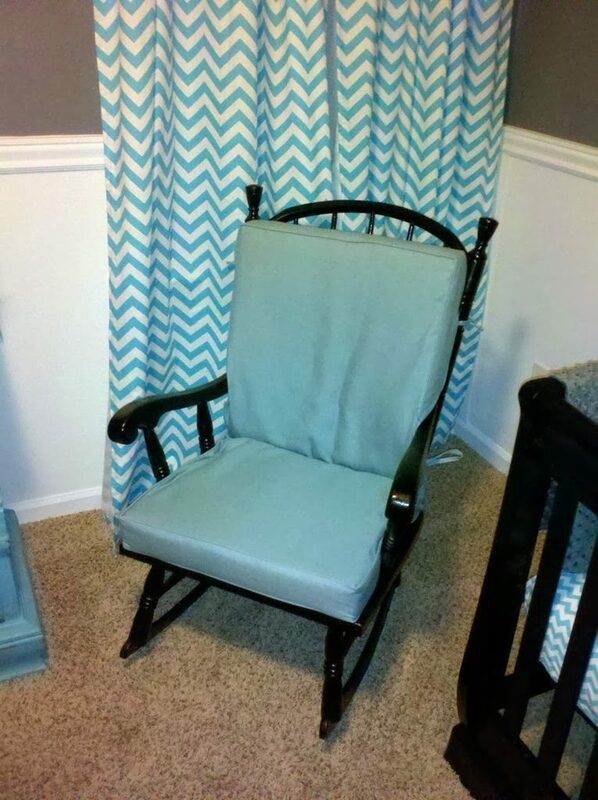 I brought the rocker up to the room and we found that it would fit perfect. But it needed a good finishing before it would work. It was obviously worn and many of the parts were loose. Since this was an upholstered rocking chair, I knew there were going to be a lot of staples holding the fabric in (like 200+). 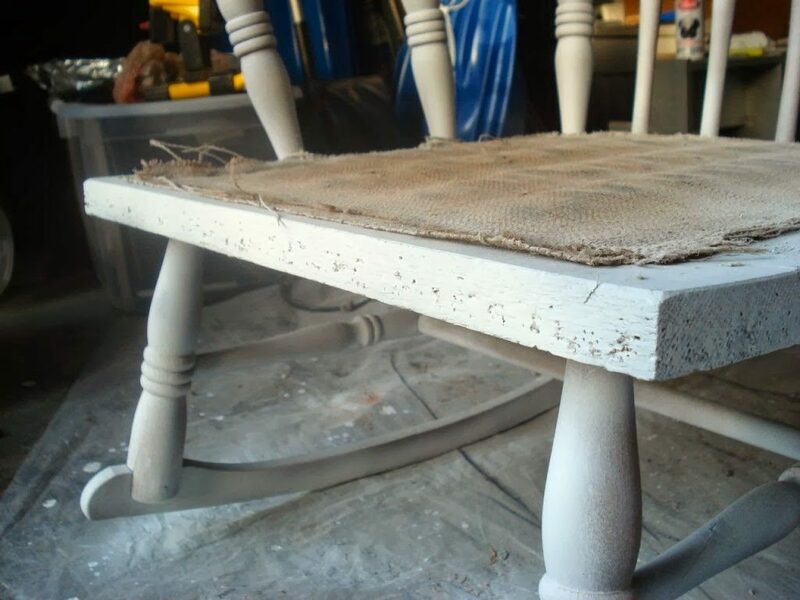 This left a lot of holes around the seat of the chair making a sand and stain option unavailable to us. So we decided to spray paint it. After all of the staples were pulled (which took about 2 weeks) and drops of Gorilla glue were applied for strength, I sprayed the entire chair with a primer. After the primer dried, I took some wood putty and filled in all of the little staple holes that surrounded the entire chair. 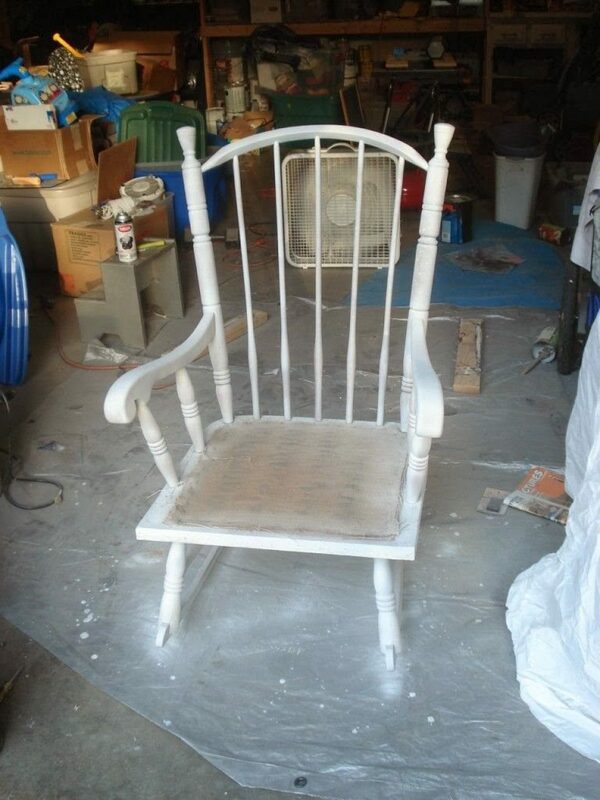 Once the wood putty was dry and sanded, I sprayed the chair with a gloss black Rustoleum enamel. 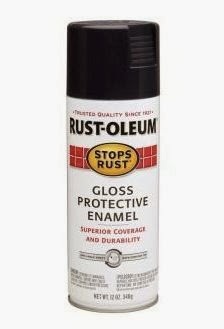 The dry time of this paint is about 2 hours but if you are looking for a highly durable spray paint with a great clean finish, high highly recommend using it. 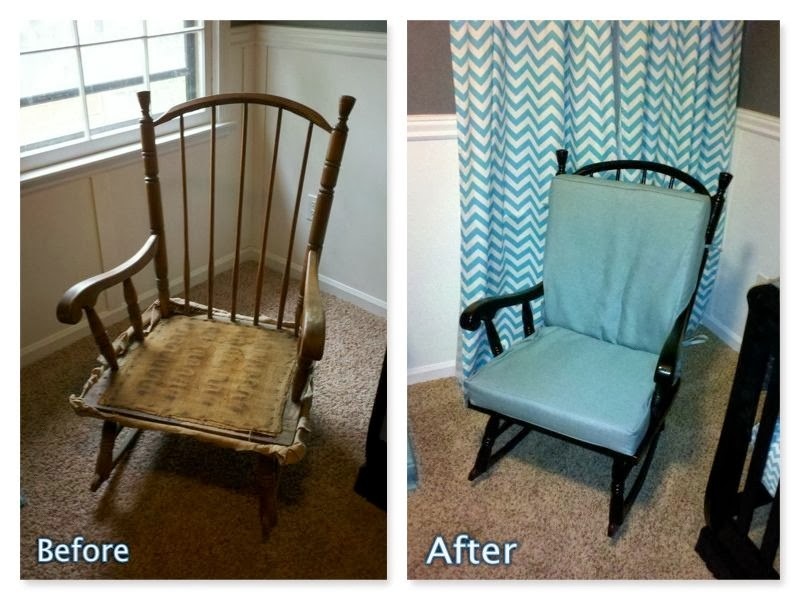 Two coats of black paint and a lawn chair cushion and our rocking chair is new again!